You are here: Home / BOOKS / Authors / What Does A FIFO Gal Gotta Do To Get A Guy Around Here? What Does A FIFO Gal Gotta Do To Get A Guy Around Here? Georgina Penney, author of the upcoming book, ‘Fly In, Fly Out’, provides us with a snapshot of the FIFO lifestyle and how difficult it can be for women working in remote locations, to find a love that lasts. The question was posed to me by a friend over a decade ago now who was straight-shooting about her odds of finding a partner or even a regular friend-with-benefits who’d work around her FIFO job on North West Shelf oil rigs. She couldn’t date someone within the industry. Working on the rigs as she did, she didn’t want to get a ‘reputation.’ Besides, she didn’t really fancy the oil industry alpha male types. She wanted a geek who wouldn’t mind getting himself dirty hiking every now and then, who was tall and could cook. The height and the cooking weren’t such a biggie but I was stumped to give her advice on the first two problems. Especially since I’d seen a bunch of other FIFO ladies in my acquaintance go through the same hassle of trying to find someone to spend the rest of their lives, or even more than a couple of months with. They’d find a guy, go out with him for a couple of weeks on their rotation home, hit it off in the sack and then they’d go to work. What followed next was usually a variation on white noise and tumbleweeds. Most of the FIFO women I’ve known have ended up dating men who are FIFO themselves. Often that means they quit their jobs eventually, and not necessarily because they’ve been asked to by their boyfriend or husband. Life moves on, people want to have kids and people change careers to better fit their partner… once they have one. But what sensible person is going to quit a high paying job that they enjoy just to meet someone? Most men wouldn’t think it was even an option but at some stage or another, almost all the single FIFO women I know have verbalised it. It’s not that they need a man, but coming home to an empty home time and time again can get a little lonely. Or a lot lonely. While friends and family can be fantastic support networks, there’s a particular kind of loneliness that comes with the FIFO lifestyle. I think it comes with working somewhere so alien to your actual home. Whether someone works in the mines, on the rigs or ends up in another country as my husband and I did, we all have something in common; our jobs are FIFO because skilled people don’t live where the work is, which might be somewhere isolated or even dangerous. Whew, it sounds pretty full on and gloomy doesn’t it? It’s not. Really, it’s not. I wouldn’t take back the lifestyle I’ve lived for a minute and I know my single FIFO friends wouldn’t either. But like any job or lifestyle choice that’s out of the box, there’s speed bumps and there’s peculiarities to this FIFO gig that would have to be experienced to be believed. So what happened to my tall friend with a thing for geek guys? Well, she might not have found her man yet but in the last fifteen years she’s travelled most of the globe, competed in a women’s rugby team on a national level, met a bunch of super interesting people, saved enough money to take a couple of six month long skiing holidays and brought her mum a house. Not the worst situation in the world when you come to think of it really! And the geek boy? Well, he’ll come along eventually. In the meantime, on with the next adventure! 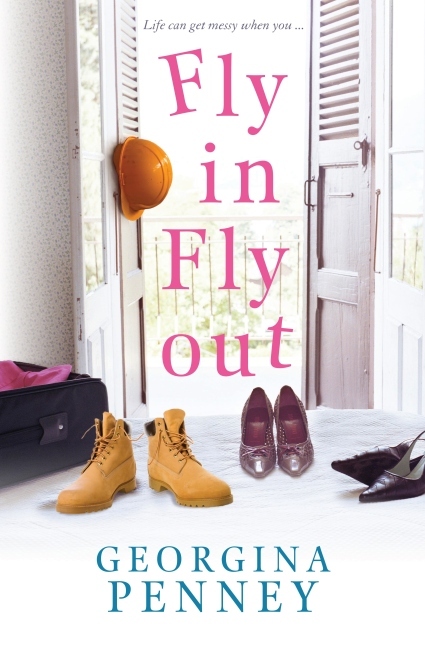 ‘Fly In, Fly Out’ by Georgina Penney is published by Michael Josepth (an imprint of Penguin Australia) and will be released in paperback and ebook format on 2 January 2015. Click Here to Read an Extract.